Are you on holiday and want to hold fit and healthy? 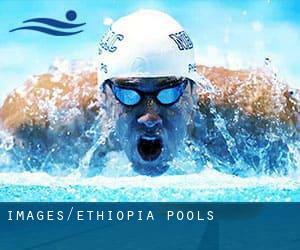 Swimia.com provides you the easy and quickest approach to find Aquagym in Ethiopia near your current location. The most beneficial choice throughout your visit to Ethiopia will be droping by a Ethiopia Swimming Pool. Do you realize of any Pools in Spain that should be listed here? Contact us!. Most in the Ethiopia Pools offer both open lanes for independent swimming and also guided activities like water aerobics or Aquabike. Please contact the sports center in Ethiopia to check which activities are being offered and their timetables, because Ethiopia Pools may have various rules and fares than other places. For Ethiopia and its vicinity, we're showing you all the registered pools, a few of them have no GPS coordinates and can't be found on the map at the map. One on the advantages of outdoor swimming in Ethiopia will be the possibility to sunbathe for the duration of the summer time season. Taking it with extra care, sunbathing is healthy because introduces Vitamin D into the body, so the best alternative seems to be switching among indoor and outdoor pools depending on the season. There are several reasons why you need to choose a heated swimming pool in Ethiopia. One of the most very important one relies on the importance of keeping the body temperature stable. If the water is too cold, your body will try to warm it up and you will shed strength to swim appropriately. Swimming is actually a excellent idea to keep your body active in the course of your visit to Dire Dawa (Ethiopia), or even if you're a local. Swimia assists you to find your closest Pool in Dire Dawa. It's difficult to visit Ethiopia with out dropping by Addis Ababa (with 2.757.729 residents). 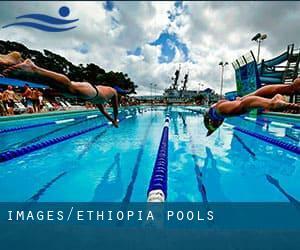 Currently Swimia is showing you all the Pool in Addis Ababa as well as the closest pools located in its vicinity. Holding an estimated population of 215.546, Mekele is one of the most important cities in Ethiopia. Check all the Pool in Mekele and its surrounding area. Without a shadow of a doubt, swimming in Nazrēt may be the best strategy to unwind right after work. Take a couple of minutes to browse Swimia's catalog to find a Pool in Nazrēt. Taitu Street , Addis Ababa . Among all of the activities offered by the center, if you are thinking about swimming you will take pleasure in 33 meters x ~20 meters, Outdoors. If you must contact this Pool, e-mail address and phone number are both number. Corner of Menelik II Avenue , Addis Ababa . This sports center delivers 25 meters, Outdoors. For this Swimming Pool, only phone number is number here.